As your Blue Shield dental insurance dentist in West Hollywood, Dr. Ghasri offers dental care specifically designed to keep your teeth healthy and your smile beautiful at our state-of-the-art dental practice. We offer our patients cutting-edge technology with an entire team of board-certified dental professionals who all work together to provide you with comprehensive dental care in one convenient location. General dental care is designed to help you maintain good oral health and includes routine cleanings that regularly remove plaque and tartar buildup from your teeth. Plaque and tartar buildup can increase your risk of cavities and irritate and infect your gums, which leads to gum disease. Periodontal disease has been linked to such serious health conditions as cardiovascular disease, diabetes, and preterm birth. As your West Hollywood Blue Shield insurance dentist, Dr. Ghasri can help you determine how best to reduce your risk of gum disease. If you have symptoms of gum or periodontal disease, we can help you determine the best treatments to reverse or correct any existing damage in order to stabilize your oral health. As your Blue Shield dental insurance provider in West Hollywood, Dr. Ghasri also offers a variety of cosmetic procedures to help you achieve the smile of your dreams. Teeth whitening can take years off your smile and eliminate stains caused by foods, beverages, and even tobacco. Chips, gaps, and minor misalignments can be corrected through dental veneers or Lumineers. We even offer Invisalign aligners, clear plastic aligners for subtle correction of malocclusions, or misaligned teeth. Our dental clinic offers root canal treatments, crowns, extractions, bridges, dentures, dental implants, and other dental treatments to help you achieve or maintain good oral health and the smile you desire. While our primary focus is on your oral health, we understand how important aesthetics are to many of our patients. 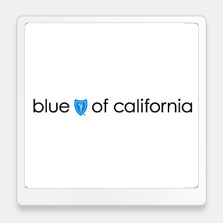 As your West Hollywood Blue Shield dental insurance provider, our dentist will work to ensure you have the ideal balance of oral health and aesthetic beauty for your smile. Contact our West Hollywood cosmetic dentist today to schedule your appointment or to learn more about your options for a healthier, more naturally beautiful smile.